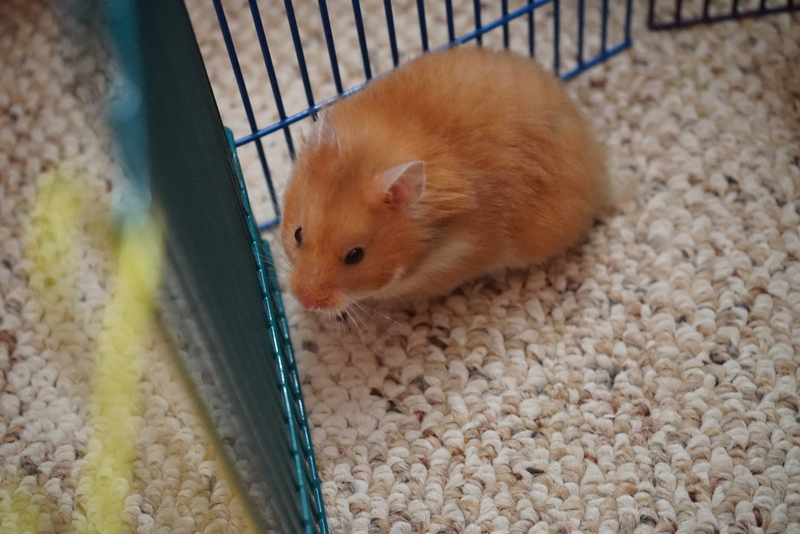 Hamster #2 For Teischan (11). Teischan wanted, very badly, a hamster for Christmas 2016. 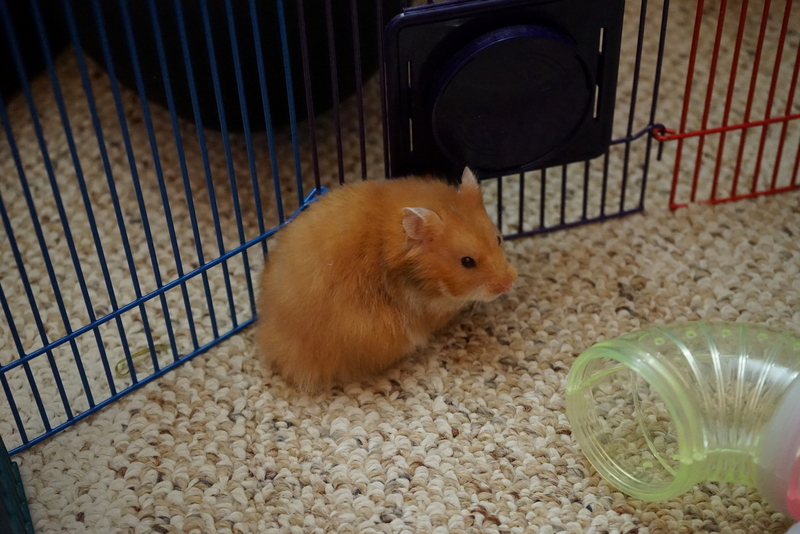 Since we were going away right after Christmas it was agreed that we would get the hamster when we got back. And that we did — on January 4, 2017. She wanted a teddy bear hamster and we eventually found one she liked, albeit female as opposed to the male that she thought would be better, at Petco in Manchester, NH. She named it Rebel. Rebel was spoilt. The dogs adored her — as they had done the rabbits. She had two cages and lot of toys. Teischan spent time with her everyday. 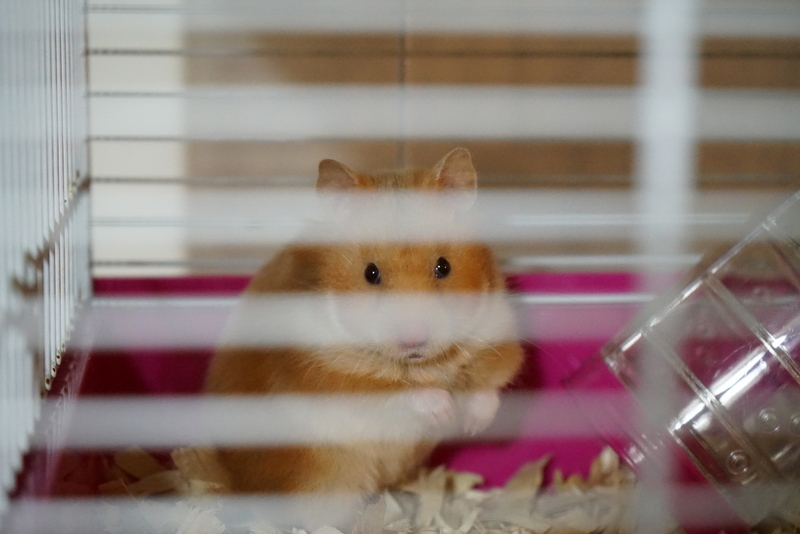 Her cage was brought up to my office every night so that she would have human company for a longer period during the nocturnal hours that she was awake. Everything was going well. On Saturday, April 22, 2017 we were going to Maine for the day. We got up early. Rebel who had been fine at 1am that morning when I went to bed was ill, very ill. It was sudden and unexpected. No signs of illness or distress prior to this. It was pretty obvious that she was dying! We were willing to cancel the trip. But, Teischan wanted to go. When we got back Rebel was dead. I had to check. She had been with us 108 days, just over 3 months. We were all cut-up. This was so unexpected. I did a fair amount of research to try and understand what had happened. I am still none the wiser. 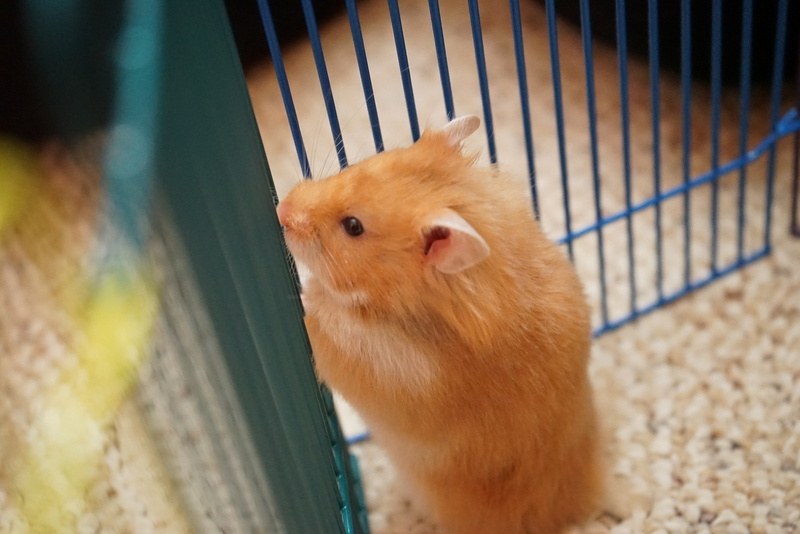 At first Teischan was saying she didn’t want another hamster till the Summer. I knew that that would change. And it did, last week. Again, I was on the phone calling up pet stores. The same Petco that we bought Rebel yet again came up trumps. We went on Thursday, May 11, 2017 to look at the four teddy bear hamsters they had at the store. Teischan picked this one. She named it ‘Treble’ not because of the meaning BUT because it rhymed with ‘Rebel’ — and it is ‘rebel’ with a ‘T’ in front. So, that is the story. I really hope this one stays with us for a few years rather than a few months. They are not expensive, compared to dogs, BUT I still hate to see any animals die.